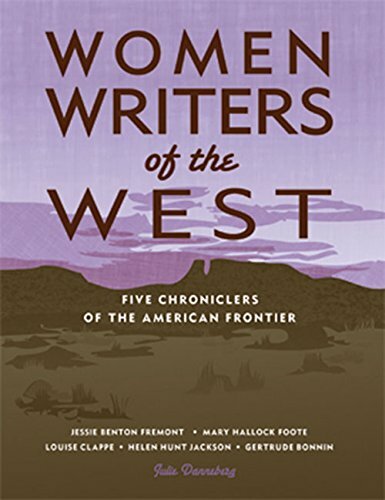 Women Writers of the West introduces young readers to five notable women driven to write and succeed at a time when ambition in women was viewed as a flaw, not an asset. Jessie Benton Fremont wrote vivid descriptions of her husband, Lt. John Fremont’s explorations of the West. Louise Clappe’s letters home clearly show the happiness and hardship found in a California gold rush mining camp. Mary Hallock Foote brought the West alive in words and pictures. Helen Hunt Jackson described the ugliness of America’s Indian policy in both nonfiction and in her ground-breaking novel, Ramona. Finally, Sioux writer, Gertrude Bonnin’s stories revealed the sweetness of her South Dakota childhood and the bitterness of leaving that life for a government boarding school in Indiana. The text is written in a unique first and third person narrative that allows the reader to get to know these women through their thoughts and actions as well as through the observations and opinions of those who knew here. Although the dialogue is invented, all of the dates, places and event are factual. Sidebars give additional factual information and a bibliography is included in the back.